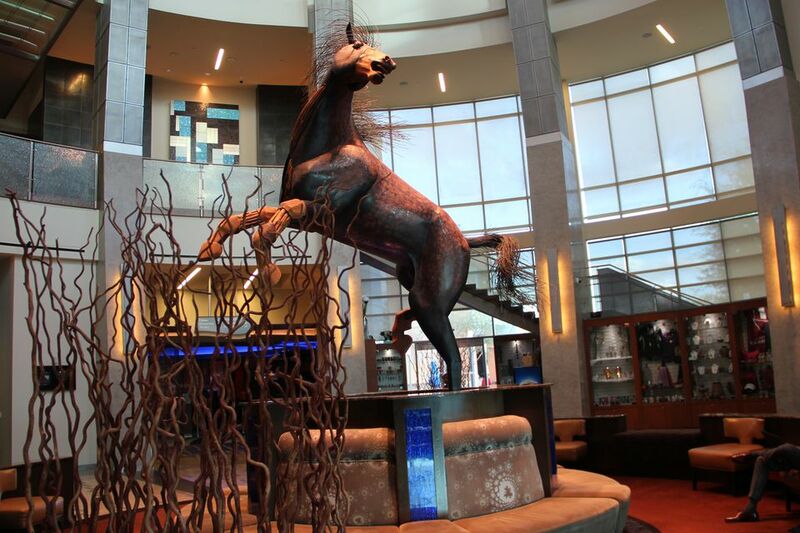 Wild Horse Pass Hotel & Casino​ is located, owned and operated by the Gila River Indian Community. The hotel is consistently recognized as a deluxe destination, awarded recognition by AAA and other professional travel organizations. These photos are intended to give readers an idea of what to expect when they stay at the hotel. You can also read my overview and review, including pros and cons, of the hotel and its amenities. Read my overview and review of Wild Horse Pass Hotel & Casino, including pros and cons, of the hotel and its amenities. This display is located inside Shula's Steakhouse. Each football represents a game from the Miami Dolphins undefeated season in 1972. The special tonight is a lobster tail with filet mignon. © Michael Benedetto, Courtesy Wild Horse Pass Hotel & Casino, used with permission.